In the name of God our Creator, Redeemer and Sanctifier. Amen. First of all I would like to thank you, for being here and joining with us in celebrating this historic event in the life of our Community. This is the first time that we have had the blessing of the Leader outside the the main house in England. Our four Provinces are represented here by their Provincials and Assistants. We are grateful for all the help and support that our Associates fellow Religious and Friends give us. It is great that this occasion provides an opportunity for us to worship together and for you to meet the Sisters from overseas. I am grateful for your prayers as I begin a new term of Office and I ask your prayers for our whole Community as we face the challenges of our time. It is fitting that this event is happening here in Canada, because this was the first overseas place that the Sisters came in 1890. The Bishop of Niagara and a party of clergy and friends welcomed Sisters May and Fredricka on their first visit to Hamilton and invited them to undertake work here. I am personally delighted that my blessing is happening here in Christ’s Church Cathedral, where until my change of status last year, I was a Lay Canon. Thank you for giving up a Saturday afternoon in May to be here with us. There are complex issues facing our world wide Communion this Eve of Pentecost. People of different points of view are disappointed that the Church, namely its leadership, is failing in being either too liberal or too conservative and not being tough enough with the “other” point of view. There is a tendency to forget that the Church is not them, the other, who can be blamed for things going wrong. True we might not personally be in a position of leadership, but we all shape what is happening in our faith communities. The church, the people of God is us. There is a tendency to let the disagreement over matters of human sexuality distract us from the overall task of making known and showing God’s love in our world today. In our Rule it states “Our name Sisters of the Church, reminds us that our particular dedication is to the mystery of the Church as the Body of Christ in the world” The Church is Christ’s body. It is both a mystery and very human frail institution. Later on in our Rule it says “Mother Emily founded our Community to pray and work to the honour and glory of God and for the coming of God’s reign on earth. 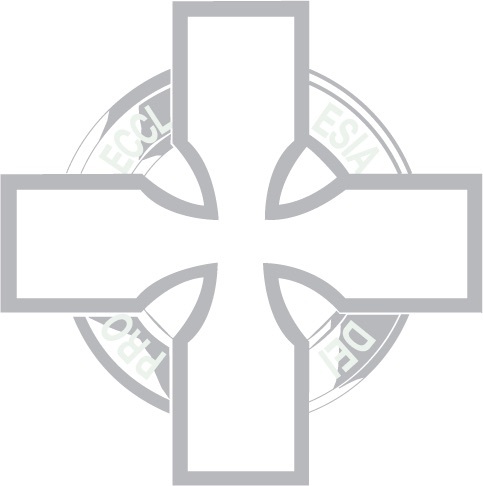 In choosing the motto Pro Ecclesia Dei she was expressing her desire that the Community should be an instrument in the Church’s task of proclaiming the primacy and sovereignty of God.” Doing that in today’s world is a challenge and it is all too easy to give up or go for what appears to be a quick fix. These are testing and exciting times. Here in Niagara the Synod convenes next week, to elect a new Bishop. At the General Synod next month a new Primate will be chosen. Difficult issues will be debated and decided upon. Our need to wait upon the Spirit in prayer has never been greater. The need is to keep a sense of balance and humour, being aware both of the seriousness and the consequences of our decisions, while at the same time not taking ourselves too seriously. The need is to remember the bigger picture and the long term view and remember the lessons of history. Both in the past and in the present Canada has and is playing an important role. Canadian peace keepers are viewed as amongst the best in the world. In the Communion Canada has played a pioneering and unsung role. It was at the request of the Canadian Bishops that the first Lambeth Conference was called in 1867. There was as they saw it a need to sort out the problem of Bishop Colenso of Natal in South Africa. They were concerned that as Provinces developed their own life they should not grow apart. Moving on a hundred years or so, the way the controversial issue of the ordination of women was patiently handled by the Canadian Church under Archbishop Ted Scott leadership was a model for the whole Communion. It resulted in Canada ordaining women legally first, before the Episcopal Church. If the Church of England had had the sense and humility to follow suit it would not be in the mess it still is in now over this issue. An ironic thought struck me, that perhaps over “the issue”, adopting the “local option,” of the Church of England’s actual practice, might provide a way forward. Paying attention to lessons from the past and to the richness of each other’s experience in the Communion often seems to be lacking. Religious Communities, particularly those who have members in other parts of the Communion get to experience at first hand the wealth of different points of view within a smaller more intimate group. Within the Communion too, the diversity and different experience that we have is one of our greatest gifts. It is also a much needed gift that we could contribute to our world. We are all aware of the blessing of modern instant communication, but it tends to add to the notion that issues can be decided simply and quickly even if they are complex and involve different cultures and strongly held beliefs. This is well illustrated by Archbishop Njongonkulu’s speech at the recent Bishops Forum in Cape Town, which is well worth reading in full. He chaired the Section 1 on ‘Called to Full Humanity” at the last Lambeth Conference. He points out that and I quote “Some 200 bishops opted for this Section, of whom 60 signed up to consider human sexuality. Let me tell you, these 60 spanned the broadest spectrum imaginable, from the hardest line conservatives to the most radical liberals! Someone calculated that we devoted 800 bishop hours to this thorny subject. It was the most difficult group of the whole conference - there was huge pain and division as discussions began. But 800 bishop hours later, we had thrashed out a common position. We managed to be completely honest about the breadth of views on which we could not agree, and yet also find considerable agreement on wider issues, and on a way to go forward together. We recommended that the Conference Resolution should not go into details, but merely accept and affirm our report, and refer it to the Provinces for discussion. The rest of the 200 Bishops of the Section agreed with this approach, recognising that it resulted from refining in a real crucible of fire.” Then, “contrary to all the usual normal procedures for handling resolutions, a draft was presented, and then debated and substantially amended in an hour- and-a-half plenary meeting, and the result was Resolution 1:10. It was as if our 800 bishop hours had never happened! The contrast that came to my mind was that of a snowmobile and a team of huskies. The snowmobile will get you there faster and with far less effort. But you might not get you there at all. Huskies can sense when the ice is too thin to risk crossing. The territory we are facing today is unknown so we need to approach with as much knowledge, care and caution as possible as well as being able to make decisions. Learning to handle a team of Huskies requires more skill than driving a snowmobile and requires time to learn and to gain experience. The fact that Huskies usually work as a team I think has something to say to us. The Canadian Church has been one of the best when it comes to struggling to work through to a resolution together. Huskies particularly when they are together can survive cold and harsh conditions. We are in new territory and staying with the dog theme, most people here will have seen the cartoon that appeared first in the Hamilton Spectator and then in the May edition of the Anglican Journal after the news that Bp. Ralph had been asked by Archbishop Rowan to be the Chaplain to the Lambeth Conference workers and to be helping out with disciplinary matters. The Archbishop is depicted bellowing “Spence! I hired you to be my pit bull, not to bore people into submission”, referring to his expert knowledge in the field of heraldry and flags. It is good that a Canadian Bishop has been chosen for this task and it is significant that Bishop Ralph’s gifts of hanging in there, in relationship and communication with kindness and humour despite all the setbacks and difficulties has proved that he has the gifts for this challenging task. It says I think a great deal about the Canadian Church and what works in the long term in difficult territory. A foot note on pit bulls: in the UK, they are listed under the Dangerous Dogs Act and you have to have a special license to keep one. They, like the Huskies, are not to be let off the leash when out. These are changing, challenging and difficult times in our world and Canadians are leading the way. One such, is the philosopher Charles Taylor, who has recently been awarded the 2007 Templeton prize, for his groundbreaking work in Research and Discoveries about Spiritual Realities. A Roman Catholic, he is interested in questions about identity and the role of religion in society, and how these two categories of questions are interconnected. He is a leading thinker in the field of multiculturalism. We are living in a multi-cultured world and need to grow in our understanding of other peoples, their faith, cultures and customs and also help them to be able to understand ours. In the nine years since I left Canada, Hamilton has changed. Back in 1998, this part of Hamilton was still dominated by mostly Portuguese, Italians and Poles with some Chinese and Vietnamese, most of whom had been here for some time. Now the newcomers are from Ethiopia, Somalia and the Sudan. It is good news that this Cathedral is involved through the Jamesville Community Centre in helping people from different nations of all ages, particularly new comers and those who are disadvantaged, to come together in a safe place to get to know each other, to get advice and help, to play, to be able to use the Centre for meetings and in any way they need. It is good that our Community through Sr. Michael is able to play a small part in that. So here we are the Body of Christ in this place at this time. I was reminded of a quote from Mother Jane, SLG “I think the fact that it IS his Body keeps the Church going somehow, and that although ninety-nine per cent of it (us) is wrong in one way or another, there’s still a one per cent at the core that keeps it lurching on”. Our reading today take us back to the birth of the Church on that first Pentecost. Those who were there were amazed that they each heard and understood the Apostles speaking in their own language. The reading from Isaiah talks of God’s love and care for his people. God promises the pouring out of his Spirit and blessing. We too are called to be God’s witnesses in our age, God alone is our rock our foundation. In our Gospel passage Philip says to Jesus “Show us the Father”. Our world says to us “Show us who is it you believe in”? People look at our lives and the way we are living and relating as well as to our words. Jesus promises to send his Spirit to dwell, to indwell in his followers. Jesus says he will ask the Father to send the Advocate, that is the one who comes in answer to our call. The helper who is called in. We certainly need to call in the Holy Spirit the Helper this Pentecost. The temptation as always is to attempt to do things in our own strength. We have a hard task and we get so easily discouraged, we need to call in the Helper. In verses 25 - 27 Jesus says how the Holy Spirit will teach us all things and remind us of Jesus and all he taught. We need to be always open to learning new things about how God is revealed to us now. Some territory is familiar, though it is always different as people and times change. We need to constantly ask what is God showing us, teaching us now in this situation? We are always learning new things, new revelations about God and God’s love and care for us personally and for others. We need to be open to God’s call to receive the grace to see and reach out in new ways. We need to be open to both receive that gift of peace ourselves and to give that gift to others. We need to let God’s Spirit flood our hearts with peace. To let God’s Spirit rule our lives and enable us to listen and respect others especially those who think differently to us. God’s peace is not the world’s peace it is something that is much deeper and unshakeable. At the heart of it lies our relationship with God and our relationship with each other. God calls us this Pentecost to call upon the Holy Spirit afresh to lead us into a deepening of that relationship. As we come to the Peace in this Eucharist, in which we all share God’s most precious gift to us, let us as we greet one another give each other our peace and so give our peace to our world.